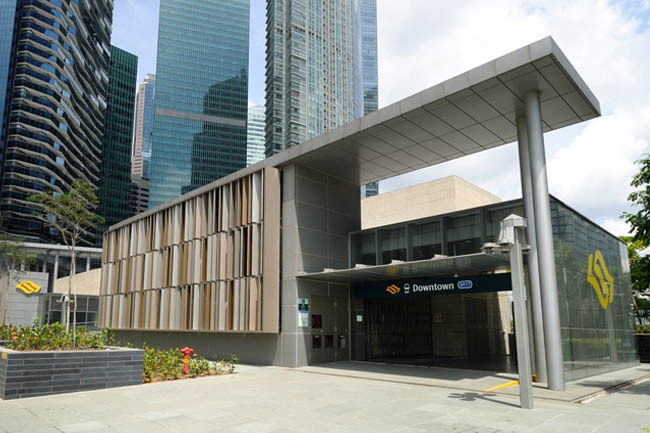 The opening of Downtown Line 2 (DTL2) spells good news for office workers, students and families. Friends staying around Bukit Timah and Bukit Panjang are saying they are SO looking forward to the stations, that means a direct train down to the CBD districts Downtown and Telok Ayer. Car owners can just park near any of the Downtown line, and make your way to work easily. 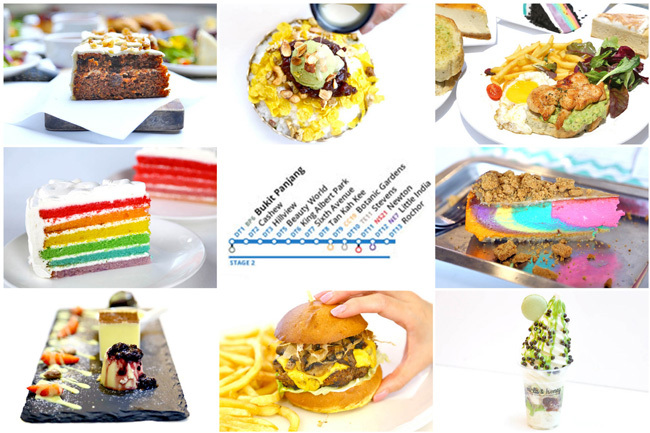 For foodies like me, I am eyeing Beauty World MRT, which is in close proximity to many cafes along Lorong Kilat; cheap hawker food at the top floor of Beauty World; eateries along shop houses at Cheong Chim Nam Road; hipster cafes at Lor Kilat; and Bukit Timah Food Centre which is popular for its Fried Carrot Cake, Satay Bee Hoon, BBQ Chicken Wing and Grilled Stingray. With the new DTL2, look forward to greater accessibility to the rest of Singapore at much shorter travel times. 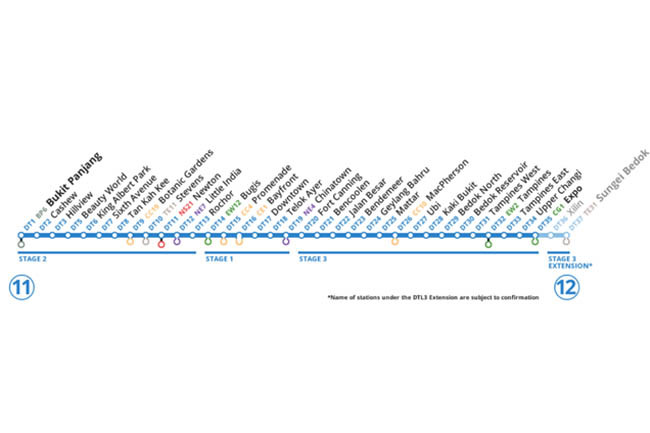 For example, a trip from Bukit Panjang to the city areas can be shortened by up to one-third. How To Get There: Exit to Prinsep Street, walk past Burlington Square, LASALLE College of The Arts, towards Peace Centre, Parklane Shopping Mall then PoMo. Montana Singapore, conveniently located at POMO, describes itself as an “urban chic coffee brew bar”, offering a selection of burgers, waffles, sandwiches, pastries with tea and coffee. The café is popular among office workers and students in surrounding schools, such as SMU, SOTA, Kaplan, Lasalle and NAFA. It has recently expanded and moved upstairs to Level 2. 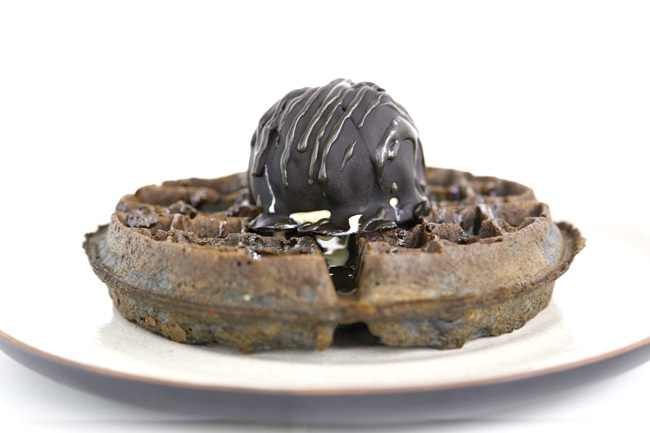 The revamped Montana Singapore menu merges traditional flavours with creative twists – including a Assam Crab Waffle ($18.00) inspired by Chef’s hometown food of Kedah Laksa, and a Black Velvet Waffles ($14.00) with a black sesame base that would remind many of wander-lusting in Japan. How To Get There: Exit to Bukit Timah Road, turn left to Serangoon Road. Continue walking along Serangoon Road, and you will walk past Hastings Road, Campbell Road, then Dunlop Road on your right. It is now easier to café hop with the linking of Little India to the Downtown Line stations, as many indie cafes are located in the Jalan Besar, Rangoon and Farrer Park areas. 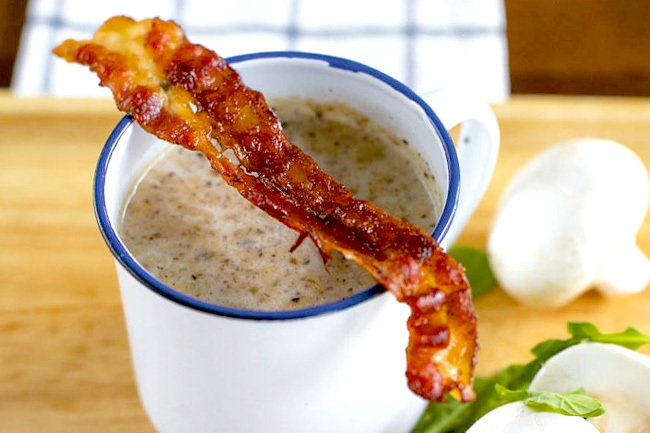 Along Dunlop Street, look out for the bacon-centric Oh My Bacon café with bacon starters, bacon mains, bacon desserts, bacon ice cream. ”Oh My Goodness! All Bacon? Seriously?” Interesting offerings include Oomph Shrooms ($6) of a cup of mushroom soup served with a slice of bacon, Fluffy with a Chance of Bacon ($12) of pancakes and bacon drizzled with maple syrup, and The Bacon Bomb ($28) – a combination of pork, beef, bacon and cheese, supposedly to create a bombastic impression. How To Get There: Exit towards Newton Food Centre, walk past Monk’s Hill Terrace towards Winstedt Drive (adjacent to Bukit Timah Road). Skyve Wine Bistro is a hidden find, about a 10-minute walk from Newton MRT, but you may be surprised at this spot for get-togethers. The space is also huge enough, and has become frequently used for corporate events, weddings and parties. Their popular brunch items include Skyve Sous Vide Eggs Benedict, Ricotta Hot Cakes and other pastas, burgers and desserts. 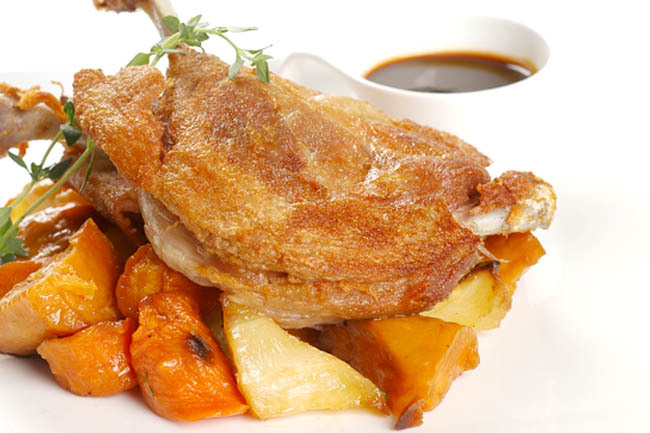 Also try the crispy and tender Confit of Duck Leg, accompanied by creamy sweet potato mash and crunchy candied brussel sprouts. How To Get There: Exit to Bukit Timah Road, past a row of shophouses towards Alocassia Apartments (it is directly opposite SCGS). 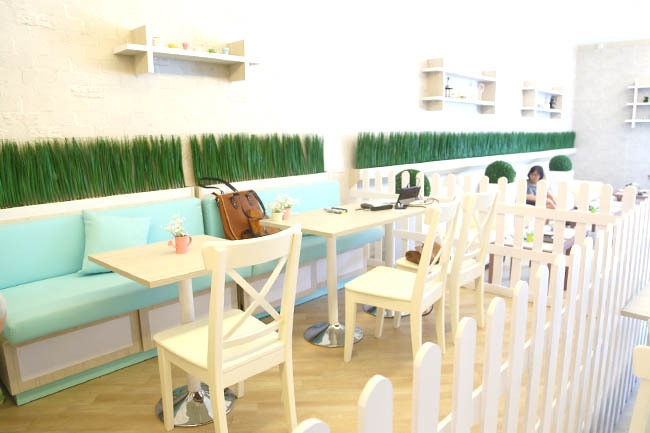 Brew Maison is such a pretty little place, said to be inspired by both Japanese and Korean cafes. Kawaii ne! Gwi yeo weo! While there are many cafes with similar industrial grey walls and hanging bicycles, this girly space sets out to attract a different crowd. Their signatures include French Cube Toast, Tori Dekku Toast and Kabocha Salad. Other items on the menu are: mix and match your rice, pasta, wraps and breads with options of meats and sauces. 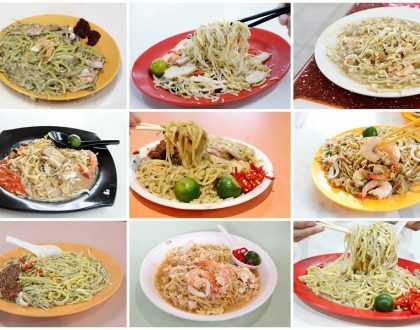 Prices are pretty affordable and family-friendly – a Mix-n-Match main dish starts from $7.50. How To Get There: Exit to Bukit Timah Road towards Cluny Court, Embassy of France. 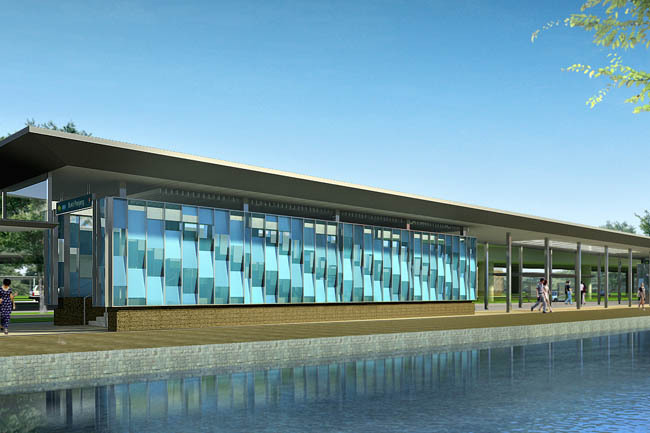 Serene Centre is just next to it, at the junction of Bukit Timah Road and Farrer Road. 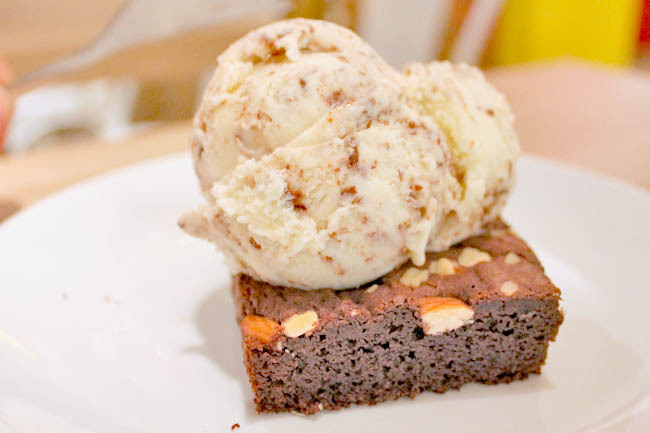 Island Creamery is considered the first ice cream parlour in Singapore that produces freshly made ice cream with local flavours. Even after so many years, I still enjoy several of their signature flavours such as Teh Tarik, Pineapple Tart, Pulut Hitam, Horlicks and Nutella ice cream. How To Get There: Exit to Bukit Timah Road towards the shophouses. You will walk past Coronation Shopping Centre, King’s Arcade, then Crown Centre. The florist opens a bakery. Ah huh, popular Far East Flora collaborates with Japan’s Signifant Signifé to offer more than 40 types of bread, viennoiseries & snacks. 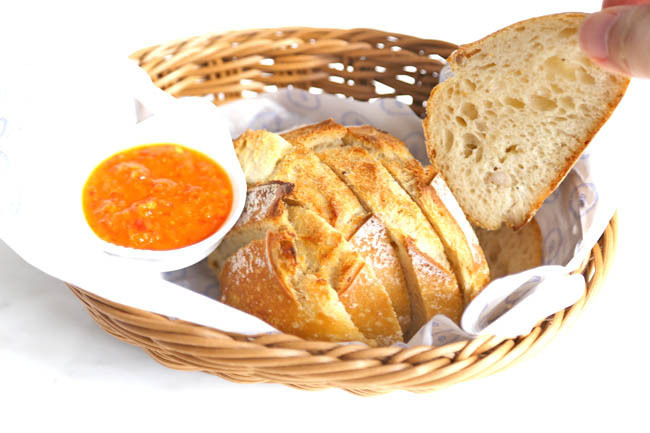 Go for the Hainanese Chicken Bread for chicken rice in a loaf. Made from chicken soup, skinless chicken thigh, garlic, ginger and shallots. Do not forget to dip the bread pieces into the chicken rice chilli sauce, which is one of the key players in a successful plate of chicken rice. Breakfast doesn’t get that boring anymore. How To Get There: Exit to Bukit Timah Road towards Guthrie House. Cross the road on Sixth Avenue, and you will reach Sixth Avenue Centre which is facing the main road. 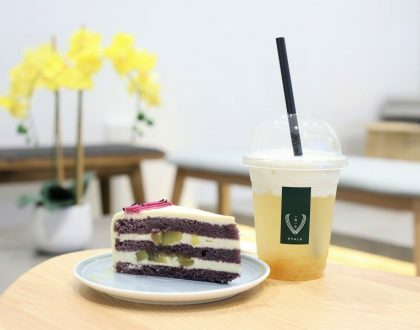 The two-storey Tea Party Café at Sixth Avenue is a favourite among families and students in the vicinity for its affordable meals, magazines and boardgames, cosy environment with a laid-back vibe, and can I add, the cakes? I am a big fan of their carrot and blueberry cheese cakes! 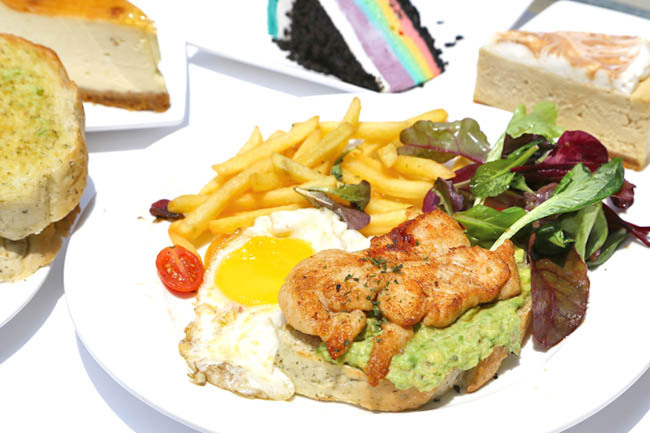 Other than pizzas, pasta and fish and chips, they offer Saturday brunch of Eggs Benny ($16), Buttermilk Pancakes ($13.50), Pork Burger with special Japanese sauce ($17.50) and Swiss Cheese Pasta ($17). How To Get There: Exit to Bukit Timah Road, walk past King Albert Lodge, cross the road to Bukit Timah Plaza. With the Korean bingsu wave going around, Bing Go Jung is one of the first Korean cafés dedicated to selling these shaved ice dessert. Their new branch is at Bukit Timah Plaza, catering to the Korean and expat community in the area. The varieties sold here include the popular Milk & Red Bean ($11), Injeolmi ($11), Green Tea ($11) Coffee ($11) and an intriguing Tomato ($11), along with toast, grilled sandwiches and chewy waffles. 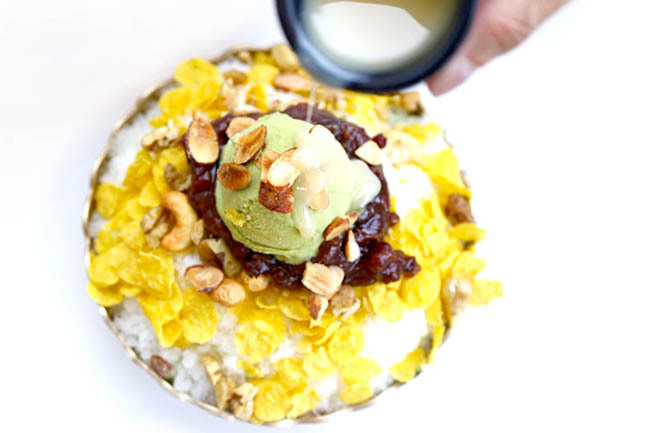 The Green Tea Bingsu ($11) is topped with crunchy corn flakes, slices of almonds, walnuts, cashew nuts and a scoop of green tea ice cream and sweetened red beans. Places nearby: Beauty World Plaza, Beauty World Centre, Bukit Timah Shopping Centre, Bukit Timah Food Centre, Toh Yi Estate, Chun Tin Road, Lorong Kilat. Lorong Kilat used to be quite inaccessible, but with the opening of Beauty World station it will be less than a 10minute walk away. This stretch of road near Upper Bukit Timah is populated with manycool cafés and restaurants – great for café hopping! Craving for a slice of New York? East Manhattan Bakery Café attempts to present its side of the big apple with a range of freshly baked artisanal breads, cakes, breakfast items, main courses and American craft beers. Do try the Chicken Avocado Sandwich. Imagine pan-fried juicy chicken meat with a slight crisp, dense and chewy wholegrain bread, served with an egg, and a side of fries and garden greens. How To Get There: Walk out of Hillview Station on Upper Bukit Timah Road, walk past John Wesley Centre, Saint Francis Methodist School, Bukit Panjang Methodist Church. The Rail Mall is straight ahead. The Rail Mall along Upper Bukit Timah has a historical significance as it is located next to the old Malayan line. 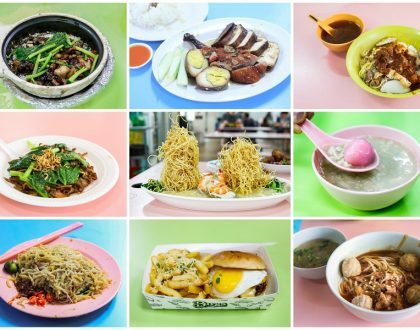 It is also home to several F&B outlets such as Bloodie’s Roadhouse & Grill, Teck Kee Chicken Rice, Restaurant Home, Cedele and Galbiati Gourmet Deli. Galbiati Gourmet Deli has been one of the longest-running shops at The Rail Mall, producing homemade, all-Italian goods, such as freshly baked breads, mouthwatering il dolci and thinly sliced pizzas. You can also dine in at the deli, which has a wholesome breakfast menu, and signature mains such as squid ink pasta and home-made ravioli stuffed with braised minced meat. 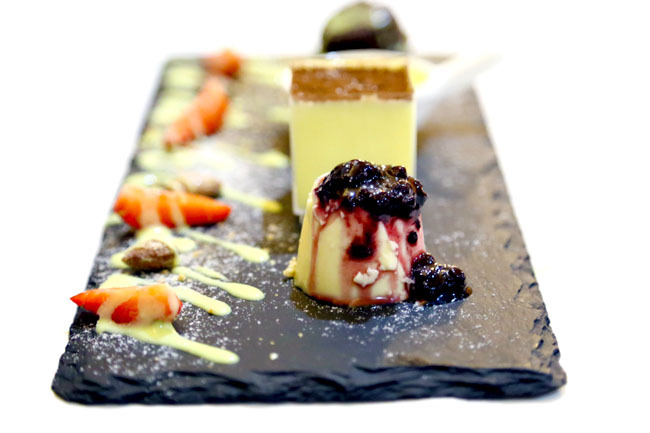 Their Italian Dessert Platter ($12.80) is not to be missed. You’ll be spoilt with a variety of sweets such as Crème Brûlée, Lava Cake, Tiramisu and Panna Cotta all on a single plate. Great for sharing! Located in Hillview Rise near Upper Bukit Timah, HillV2 contains a selection of F&B outlets, including the famed DEAN & DELUCA from NYC, Joyden for its Cantonese cuisine, iO Italian Osteria for authentic Italian cuisine and Wine Connection Bistro for its selection of exclusive wines. These are all a stone’s throw away from either Hillview or Cashew MRT stations on the Downtown Line. 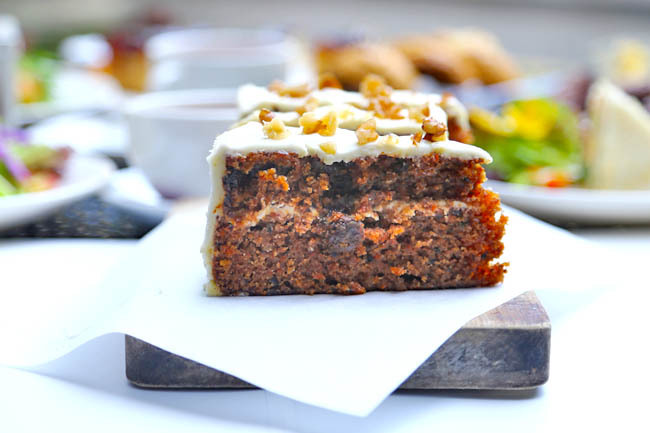 The café and gourmet food retail store from New York City has been popular for its brunch items such as Rainbow, Red Velvet and Carrot Cakes. 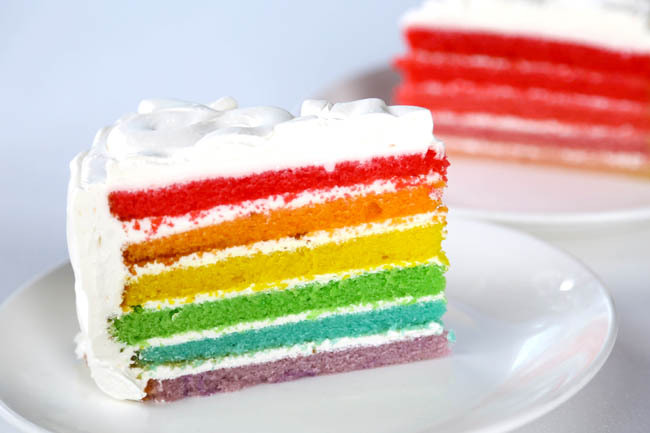 Each layer of the Rainbow Cake is actually of a different flavour, so you can savour layer by layer. How To Get There: Exit Bukit Panjang MRT towards Jelebu Road. Bukit Panjang Plaza is 5-10 min walk away. With the Downtown Line 2 at Bukit Panjang, Bukit Panjang Plaza will become easily accessible to all! Milk & Honey at Bukit Panjang Plaza has become one of the most popular yogurt parfait shops, selling signatures such as the Royal Honey, Lilac Dream and Chocolate Divine. You can also customise your yogurt with a wide range of toppings, such as pastries and macarons – created by their in-house pastry chef. There will also be free travel on ALL 18 Downtown Line stations (including DTL1) for six days from 27 December 2015 to 1 January 2016. Simply start and end your journey at any of the DTL stations to enjoy the free travel. For the latest updates on the DTL2 and the Open House, tune in to LTA’s Facebook (www.facebook.com/WeKeepYourWorldMoving) or follow them on Twitter and [email protected] (https://instagram.com/ltasg). * This post is brought to you in partnership with Land Transport Authority (LTA).